Neverwinter is a game I’ve been quietly interested in since its announcement. A D&D-themed game set in the city of Neverwinter? Yes, please. Things went quiet for quite awhile after its announcement, and I forgot about it until it drew my attention at PAX East 2012. After going hands-on with a pre-alpha build at that time, I began to feel like it was going to be a damn good game. I wrote up my impressions at the time, then filed it to the back of my mind. To make a long story short, I had the opportunity to participate in a press-only beta weekend as well as all closed beta weekends for the game. I was encouraged by what I saw. I even got to play during the five-day headstart to open beta (thanks, Christine at PWE! ), and the deed was done. I was hooked. Now let’s talk about why (focusing on the co-op reasons, of course!). 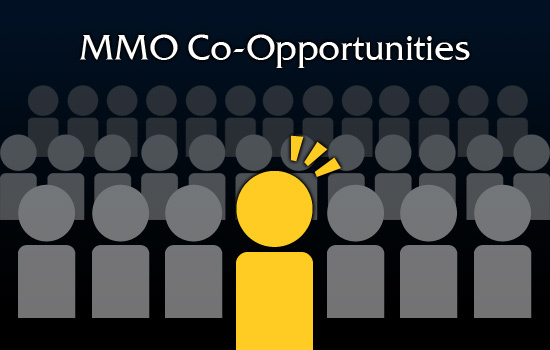 The most impressive co-opportunity that I’ve experienced in the game is its flexibility towards players. Let me explain. While there are scenarios and dungeons (more on this later) that are focused on a full 5-person party, much of the game is balanced for solo or two-person play. My cleric is nearing in on level 50, and I’ve pretty much blitzed through the game so far with one other person. I could’ve easily done this with three of four other people, however, as most quest objectives will update for all players in a party (though there are some individual collection quests here and there) and sometimes all players that are close to an objective even if they aren’t in a party. Also, in this non-group-specific content, the composition of the party is largely unimportant. As expected, clerics and guardians may be useful, but players can often blitz their way through on pure damage and strategic potions. There’s no waiting around in town for a specific group to just go and do some quests. And since players can quick-travel to the start of any adventuring zone, they could potentially complete a couple quests even if they only have 15 minutes to play. As for group-specific content, I should touch on the queueing system. By no means is Neverwinter the first to allow players to queue for dungeons, but it’s one of the most well-done ones I’ve personally experienced. From anywhere in the world, players can queue for party-based content. They can queue alone or in a group, and the system will round out the details. Once queued, they can go out and do whatever they want in the game and the matchmaking will let them know when it’s found a group. The system always appears to put at least one guardian (tank) and one cleric (healer) into every group, so you don’t have to worry about getting stuck with an all-dps party for really tough content. 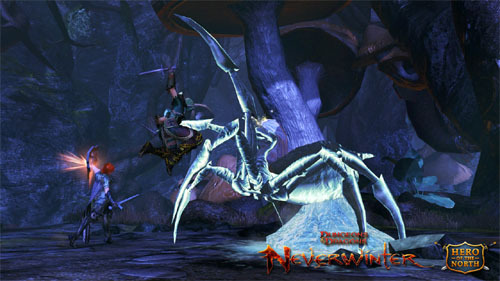 There are two types of PVE queueing in Neverwinter: Skirmishes and Dungeons. Dungeons are the standard affair where players fight through multiple rooms, clear multiple groups of enemies, and kill a couple bosses and an end-boss. They’re laid out to take roughly 45 minutes to complete. Skirmishes, on the other hand, are tuned to take only 15 minutes. They usually consist of only several waves of smaller enemies, followed by one boss. I really like that Cryptic thought to include both these options for the convenience of their players. This goes back to my point about flexibility as a co-opportunity.